Move over Wii U, there's a new console with a stupid name in town. 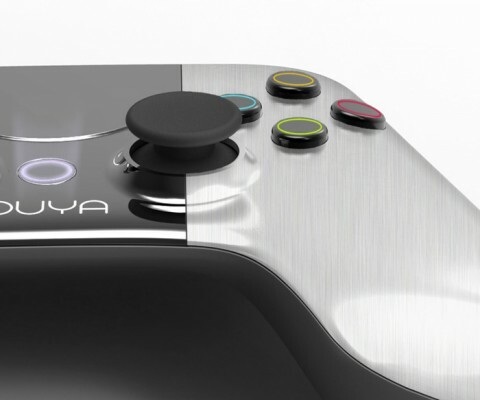 Move over Wii U, there’s a new console with a stupid name in town—Ouya. The console promises to offer an open-source, indie-centric, and hacker-friendly console for less than $100. Launched on Kickstarter this morning, Ouya has blown past previously held records as having the best opening day in Kickstarter history and is still going strong, already meeting their funding goal less than 12 hours into the campaign. At the $99 tier, backers will get the new console and an Ouya controller that resembles an Xbox 360 controller with a touchscreen in the middle. 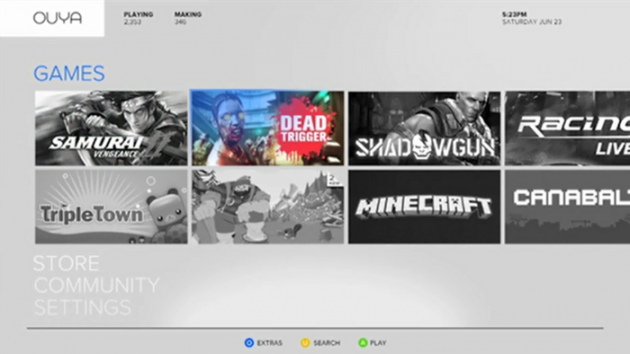 Ouya is Android based, will run all Android programs and is being actively supported by many indie developers, including Mojang, developers of Minecraft. Kickstarter backers are scheduled to get their consoles in March of 2013. And I was wondering which console I was going to support the next generation… huh? This looks like a good idea. Reminds me of the GP2X, a hacker-friendly handheld that is pretty good for homebrew software too. Not a bad idea I must say. Huh. I guess I should look into Android development! This looks intriguing! I must consider this as a potential future purchase. Now, hi ho, Silver, awaaaaayyyy!